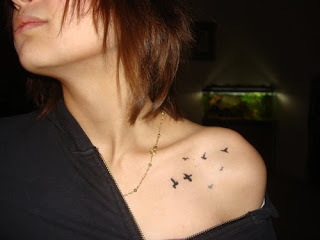 I am thinking of getting inked again. 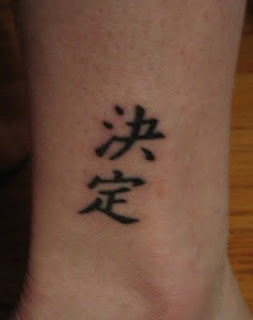 I have a small-ish tattoo on the back of my right ankle that is the kanji symbols for determination... most people don't know that I have it... and most people are surprised when I say I even have a tattoo... I guess I just don't look like a tattoo kind of girl. My dilemma is do I venture onto the top of my foot? Kind of wrap it up my ankle? I am concerned with two things... the first is that unless you look closely, it may look like I just have ink spots on my foot - or worse yet - people just think I don't wash... the second - that is the FRONT! OF MY FOOT! And I can't really hide that can I? the first thing i thought when i saw those tattoo examples is that from far away they will looks like black blobby marks. 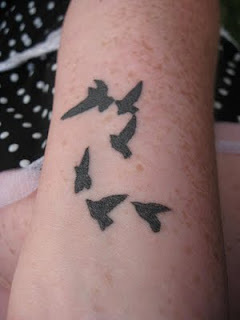 i really like the concept though... im thinking if you want it on your ankle than have it jus go up the side. the front might not work so much. and the skin in the top of your foot is different... the colors fade faster (same with the inside of your wrist). this tattoo is for you and your dad... so if its on your ankle and not seen that much than who cares what is looks like from far away. 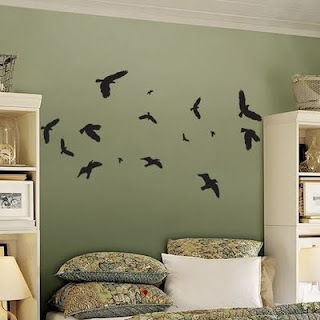 and if people think that its just black blobs... than who cares too! as long as you know what it means and represents. 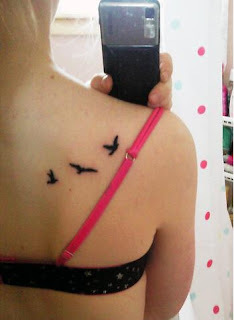 I like the one of the three birds on the shoulder, but I'm with April. Try out the airbrush thing and see what works. Love Mo PS don't you like Linds's 'v' idea? I have a tattoo of hello kitty on top of my foot...i hide it when I dress up with shoes, tht have traps that cover it. It also didnt hurt any more than the others I have.